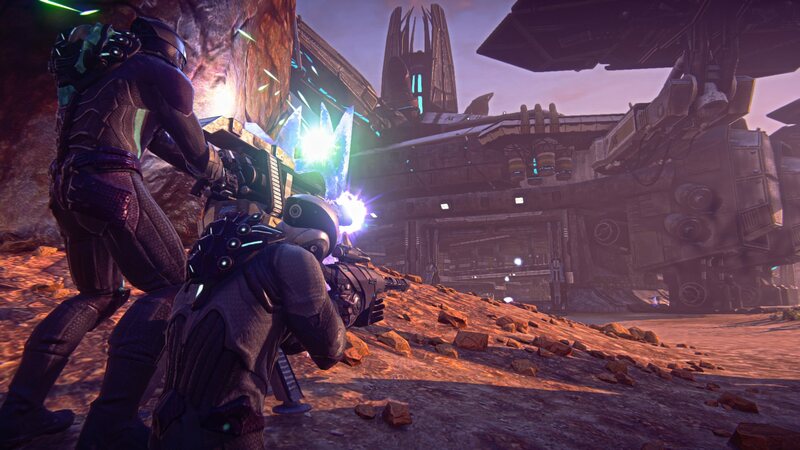 For the past few weeks, I’ve been gaming quite furiously within the realms of Planetside 2. I’ve been honing my infantry skill and with it my twitch gaming skills. To sum it up, it’s not going very well. Well, it didn’t start very well. I’ve come a long way from the guy with a 0.5 K/D ratio. Kill-Death ratio being a decent but not ultimate way of gauging my skill while playing as infantry and competing against myself between play sessions. My K/D ratio is now typically 2.5 or higher after my average play session. Lancer (long range), Nemesis (mid range and AA), or Decimator (short range). I changed to the NMG because I find myself getting caught up in short range engagements often. It is the nature of the game. Eventually you are going to have to get into a knife fight whether you chose to or not. If I know I’m going to be in an entirely long range engagement, I’ll pull resist shield. I’ll talk about the change to the Polaris later on. I switched to Concussion Grenades because I find them to be much more versatile than Frag’s. Concussion grenades allow me to negatively impact the enemy for certain, something that frag grenades cannot do. I can toss a concussion grenade into a room, it does not have a red grenade indicator and it goes off on impact – the enemy has very little reaction time to deal with it. Then either myself or friendlies can kill or at the very leaest, nearly kill, the enemy. I find it very effective against MAX units. I switched to medical kits because I find them much more useful than C4. Often times a medic is not available or they are tending to the dead. Dead are worth more XP than healing a friendly that isn’t dead. I don’t blame them. C4 is handy when getting close to a MAX, vehicle, sunderer or room full of enemies. I switched to the VX29 Polaris after viewing Wrel’s video on it. It keyed me into what I wished and had been using the Flare for – a proper support weapon. I’m a weapons team leader in the US Army – my job is to ensure that supporting direct fires are put down on the enemy in support of friendly infantry squads, platoons, or on a rare occasion even companies. I’m good at it, in theory, and I really enjoy it. You can view Wrel’s video below. I have been running the Polaris with an advanced laser site and either the NV Scope for night or purely indoor operations such as in a Bio Lab, the 2x reflex site for semi-indoor action such as in a Tech Plant or Amp Station, and the VMS 3.4x for outdoor engagements. I find that the longer ADS zoom is handy to take advantage of the accuracy and damage at distance that the weapon offers while the advanced laser allows me to hip fire in close quarters with a high level of lethality. It’s a very nice symbiotic relationship. I also always use soft point ammo – taking advantage of the inherently high muzzle velocity of the weapon itself along with a compensator for increased control on an already very controllable weapon. What niche weapon configurations that match your playstyle have you found in Planetside 2?